Previous: Nicki Minaj And Cardi B Calls Off Truce As They Rekindle Their Beef. 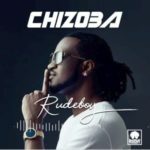 Rudeboy of the defunct music group; P’square, recently released a song, titled “Chizoba” which has attracted loads of attention from music lovers across the industry. 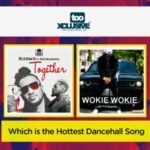 The song which is very emotional and contains strong lyrical content got a lot of people do their reviews of the song on social media. While some people believe it’s a song that is directed to his brother, others believe it is just banter. @qwin_aisha This song shows that Paul aka Rudeboy is a great song writer. He has been able to put his emotions into words and share it to the world as a song. This song shows how immense and deep brotherly love is. Many are aware of the current situation of the P square brothers, so this song makes me feel as if he is trying to reach out to his brother, guess he finally realizes they are better together than being apart. All in all, this is the best song I’ve heard in a while, not all artistes can put out their emotions in a song in a way that we would feel it. @neefe_nawti This is an exceptionally beautiful song that preaches peace and a divine call for victory over the intrusion of brotherhood. This is a rendition that naturally should soften the hearts of even the most gruesome and vindictive personalities as a result of its strong lyrics which touches reality in totality. I just feel the instrumentation of the song cannot be any better to aid its intentions. Although, If Paul truly is an advocate of what he writes in this song might be a topic for another day. I just hope Peter listens to this song, not only him but everyone that makes up the Okoye family so they can all have a change of hearts, and I hope again that divinity feels compelled enough to calm the storm that is currently on-going in their family. This song must make a difference o. Too sweet and spiritual abeg! You can share your thought in the comment section below. Ur songs inspires me alot. Music is in ur Blood. Unity Is Strenght. I Hope One Day You Guyz Will Realise That. I can’t possibly believed this is really happening. But i think Rudeboy is trying to cried out to the world trying to tell the fans that it’s not all about him as people think that he split with his brother for his own personal reason. Though am not judging any side because I love both of them. I enjoy your show at Copenhagen but I still believe P-square is better. You guys achieved the fame, popularity and awareness together storming the world as identical twin brothers. Now is not always good if you guys are splited and no more together as the P-square of all people because that’s the recognition and stage name you guys shown before the world. Rudeboy is not way too better without MrP and MrP is not way too better without his brother. There’s always gonna be stocked somewhere where both of then would rather say I wish my brother was here. You guys better resolved these messed before it gets too deep. I realy name u guys lagen on my music file, i fans psquare when i was r4yrs i lov yuor music remember that blood is thicker than water you guys are one blood .. I realy name u guys lagen on my music file, now what and which file wil i name mr.p and rudboy, i fans psquare when i was r4yrs i lov yuor music remember that blood is thicker than water you guys are one blood ..
Wow, what a song. I’ve been playing it non stop, drinking in all the words yet couldn’t get enough of it. The song shows Paul still believe in their brotherhood. However I find the lyrics a bit contradictory. While he craves for the brotherhood to be back, and prays God to bless his enemies, he still prays God to "fire fire" them. It appears to me he wants his brother back but not his brother’s family who maybe he thinks are d cause of the confusion. If he truly wants the brotherhood back, he should learn to accept and welcome all associated with his brother. I’m one of the fanatical fans of psquare. 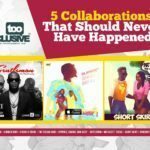 Indeed since they split I’ve lost interest in naija music. 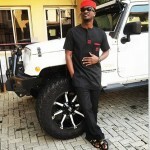 Pls Paul I beg u, you are d real psquare but u cant be complete without ur twin. Reach out to him and reunite b4 it’s too late. You guys don’t hav forever. U don’t wanna look back in your career with a dint of regret. Peace!!! Kudos to u Rudeboy..u Ave always bin ma no 1..i pray nd hop for u to reunite wit ur brother..
Kip killing us wit ur voice?? If you love p square u praise them both, we are all human beings, as a group u praise one over one, how can the other one be happy? 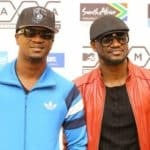 Their contributions together brought psquare success. Even if you have children and you love one too much than the other, the other one will feel too bad. 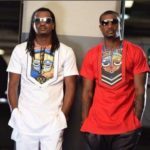 I love them both as p square and I love them separately as solo artist. P square is best sha.